On our recent trip to the Great Smoky Mountains, we took a orchard side trip and ended up passing through McCaysville, GA. Earlier in the day we went through Blue Ridge and visited the Mercier Orchard. We traveled a little further west and ended up at the Mountain View Orchard, a U-Pick-It business outside McCaysville. My wife wanted to see if they grew the Yates apple which she says has a very tart taste. We found the business, and The Cider House restaurant, but they didn’t have those apples. One of the workers, or maybe he was the owner of the orchard, said they did have about four of those particular trees but weren’t having much luck with them this year. The trip to the orchard was outside of the town and took a few minutes to get there. 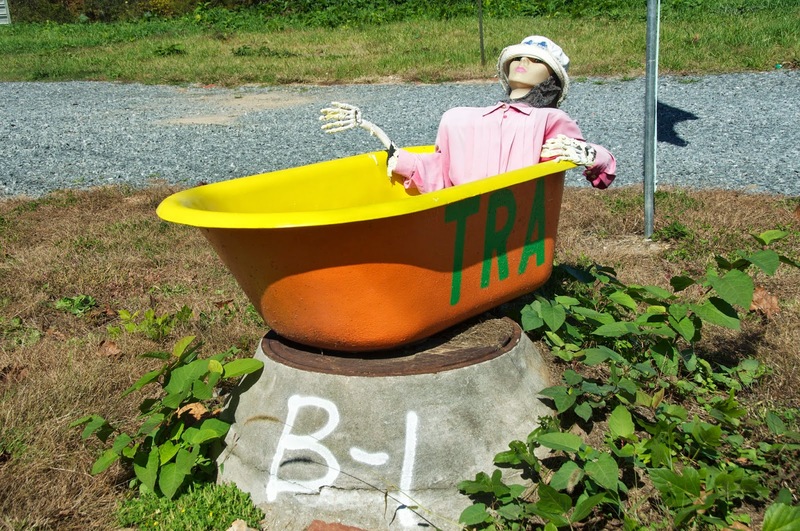 On the way back, we decided to stop and take a few pictures of some rather interesting characters positioned on a kayak and in a bathtub just a few yards away from the Toccoa/Ocoee River. The river carries both names along a 93-mile stretch in North Carolina and northern Georgia. The letters TRA were emblazoned on the displays. I didn’t take the time to find out what TRA stood far and left the area. 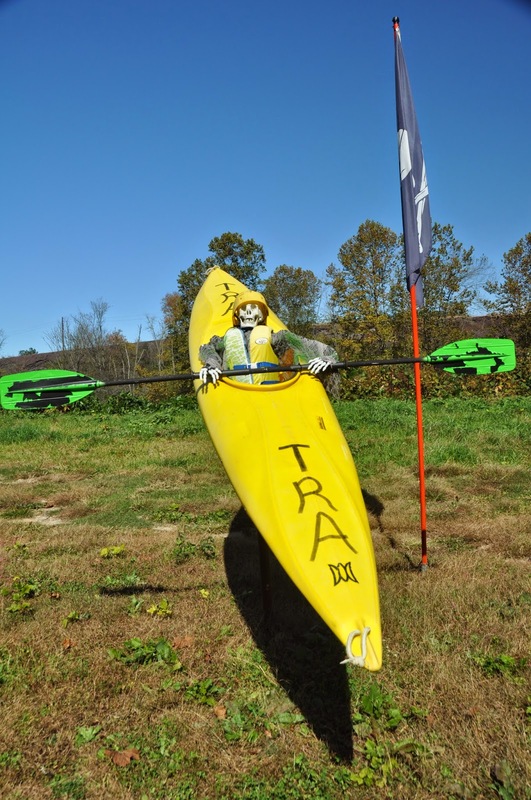 Typing in TRA on the internet I came across the website of Toccoa River Adventures, a company that offers tubing, canoeing and kayaking trips on the Toccoa/Ocoee River. I trust that most of their customers end up in a better condition than those in these pictures.